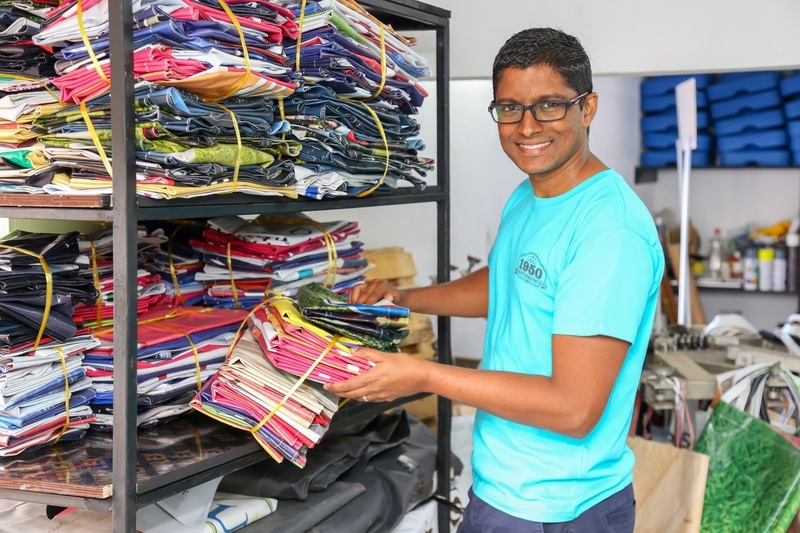 While completing his Young African Leadership Initiative (YALI)-Mandela Washington Fellowship in 2016 at Dartmouth College, Nazeem won a business plan competition and was awarded a $25,000 grant from the United States African Development Foundation (USADF) for his project to upcycle advertising banners into tote bags. Nazeem and his wife, Anousha — herself an alumna of the YALI Regional Leadership Center in South Africa and a 2017 Mandela Washington Fellow — came up with the idea shortly after his home country banned the use of plastic bags in 2016, resulting in higher demand for an alternative. At the time, Nazeem and Anousha were running a print and design company that they had co-founded. The company specializes in large format digital printing, including advertising banners and billboards. Living on an island nation, Nazeem and Anousha believe that protecting the environment is an investment in their country and they wanted to find a way to reduce advertising waste in Mauritius, which produces over 300,000 square meters of printing material annually. 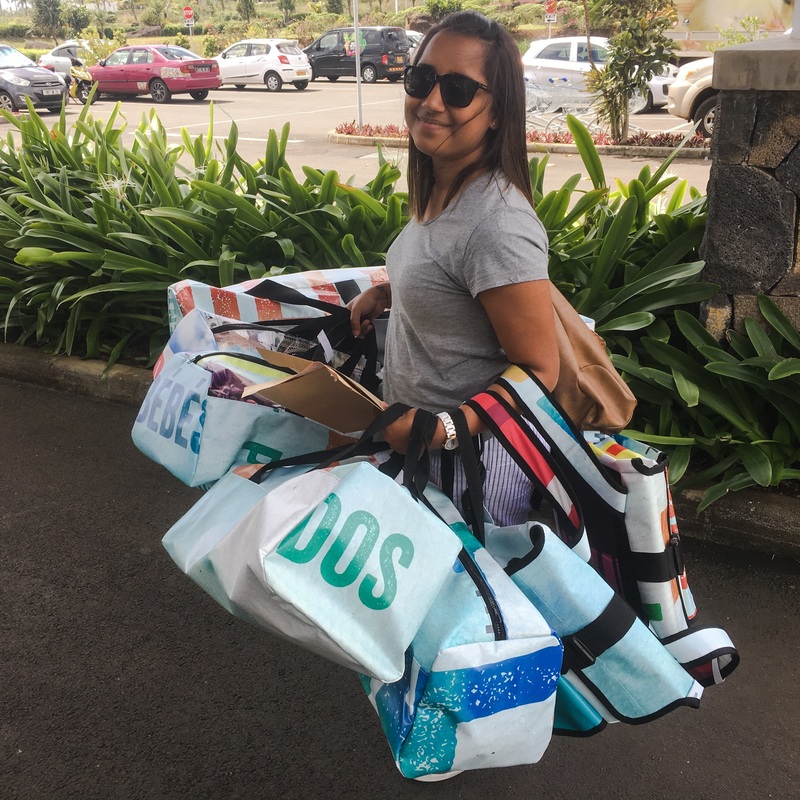 The tote bags, also known as “the bags with a green attitude,” have made quite an impact since their debut on Earth Day 2017. The launching of SAKILI was followed by a weeklong exhibit at Le Caudan Waterfront, in the capital city of Port Louis. The exhibit, entitled “Once a billboard now a bag,” displayed totes made from various advertising campaigns, including the U.S. Embassy of Mauritius’s Fourth of July fireworks banner from 2016. In addition, Nazeem and Anousha’s tote bags were featured at Dartmouth College in 2017, where he had completed his Mandela Washington Fellowship for Young African Leaders the year before. When he’s not saving the environment, Nazeem is involved in the Mauritian Mandela Washington Fellows alumni community. Together with this alumni community, he helped organize an incredible leadership conference in February 2018, funded through the YALI Engagement Fund. The conference, titled “The Leadership We Want,” included participants from ages 17 to 50 and focused on three key themes: Education and Community Development, Business and Socio-environmental Responsibility, and Human Rights and Gender. “The Leadership We Want” conference and SAKILI are two great examples of how #ExchangeAlumni like Nazeem are invested -- and continue to invest -- in efforts which promote mutual understanding within their countries and the world. Thank you for your leadership, Nazeem!